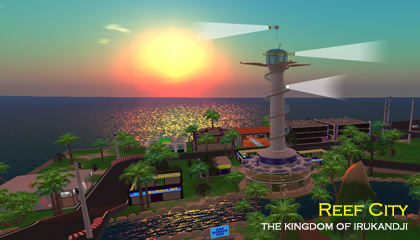 NOTE: This page is about Reef City on The Reef grid. 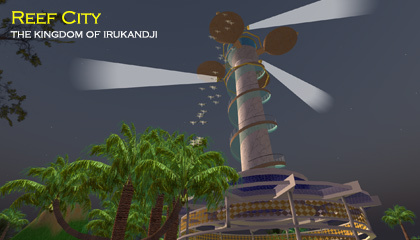 The InWorldz version is here: Reef City in InWorldz. 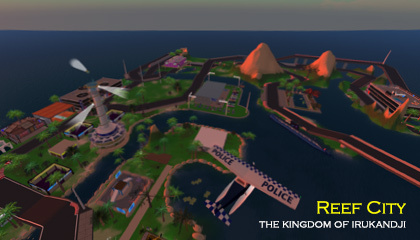 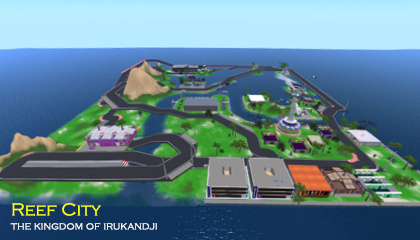 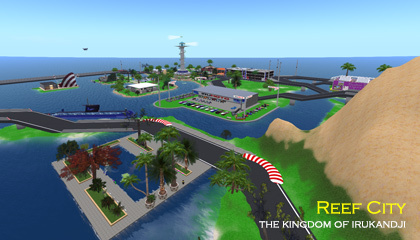 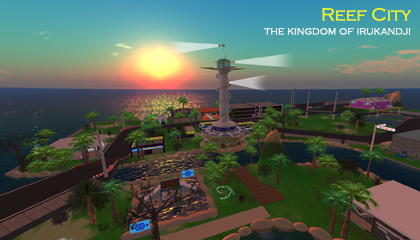 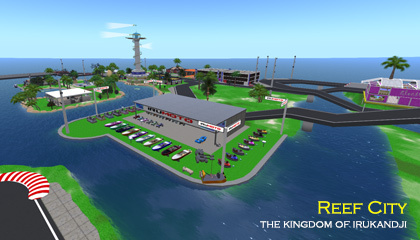 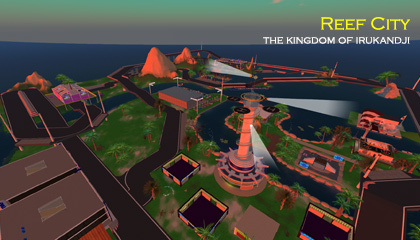 Reef City was a region on The Reef Virtual World. 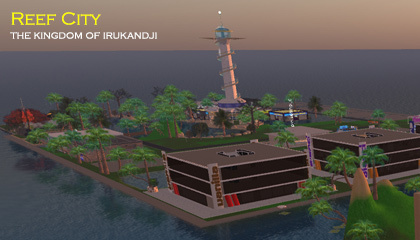 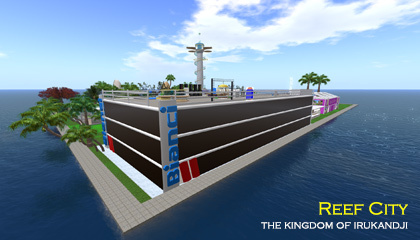 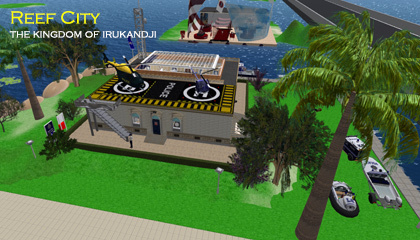 It was the official landing sim for the grid, and its principal commercial district. 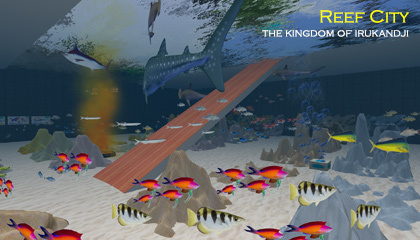 In its original form, Reef City was a standard sized region, adjoined by Marlin Reef to the south and Starfish Reef to the north. 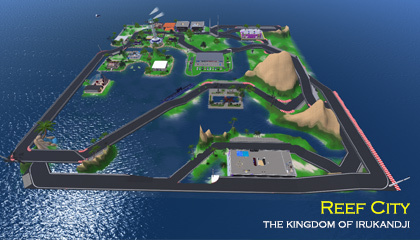 Later, Reef City was transformed into a 2x2 varregion and the separate regions were combined. 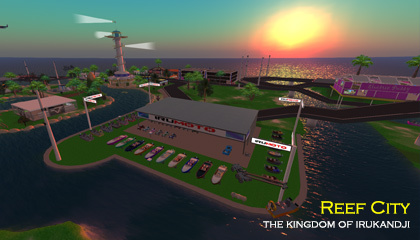 Below you will find some photographs of Reef City that I took during my travels around the islands. 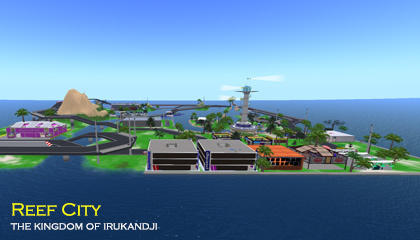 If you would like to explore more of the Irukandji continent, visit the main Islands of Irukandji page.